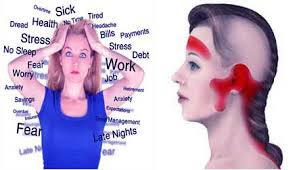 We will be talking about a stress headache in this article and how it has affected a large number of the global population. 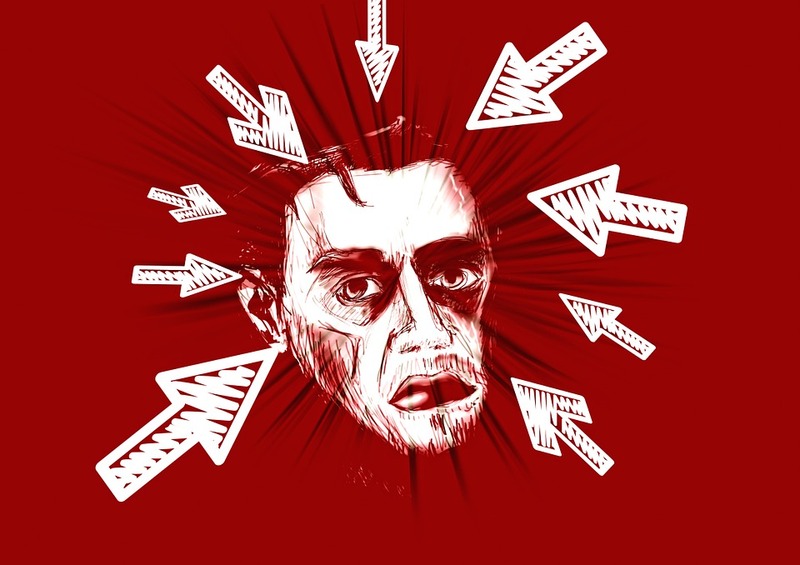 Introduction To a Stress Headache. Cause Of a Stress Headache. The reason for writing a detailed post on stress headache is my encounter with this monster. Like everyone else I also have my own shares of ups and downs in my life. I have an encounter with a headache a lot many times. Sometimes I was able to understand the reason behind a headache and sometimes I was NOT. The country from where I belong, headache is not taken very seriously. Most people treat it as a very ordinary thing and they take some medicine for temporary relief. Most people aren't aware of the problems that a headache can lead to. Can you die from a regular headache? Before I answer this question, let's discuss a technical term 'Thunderclap'. It is also called lone acute severe headache that is sudden and reaches a very high intensity in an idiosyncratic span of time. Many doctors believe that the blood leaking from a brain aneurysm causes Thunderclap kind of a headache and there are chances that it can lead to the death. Again an important question I would like to put in front of my readers. Can you get a brain damage because of a headache? A migraine is a form of a severe headache and frequent migraine can lead to brain damage. You will be surprised to know that 20 MILLIONS of AMERICANS suffer from a migraine. As published in AmericaMedicalal Association Journal, frequent Migraines are associated with an increased likelihood of brain lesions. The real reason behind a migraine is still a mystery. Some connect it to the genetic while other beliefs a person having Migraine problem has a sensitive nervous system. So let's define a stress headache, It's a common type of a headache that can lead to mild, moderate or intense pain in your head, neck or back of your eyes. Sometimes stress a headache gives a feeling of a tight band around the forehead. Many people call this kind of a headache as an episodic headache because of the repetitive nature of the occurrence, mostly once or twice a month. According to the Cleveland Clinic, chronic headache affects around three percent of the US population and women are at the higher end of getting affected as compared to men. A stress headache is mostly caused by muscle contraction in the neck and the head region. There are many aggregators for a stress headache. Sometimes a cold temperature can initiate the headache symptoms. A long drive or sitting in front of a computer for a longer period of time is, in fact, the two most common reasons behind a stress headache. Tenderness Around The Forehead And Scalp. A lot of people get confused between a stress headache and migraine. Both are very different kind of headaches. To make a differentiation between the two, the best way is to cross-check the symptoms. In case of a stress headache, you will rarely encounter symptoms like nausea and vomiting which is a very common symptom when it comes to a migraine. The diseases like a brain tumor and brain cancer also have common symptoms- headache. So if you ask my suggestion then it's always good to have a thorough checkup. Doctors perform a series of test like CT SCAN, MRI and so on... depending on the need. We should never ignore any kind of a headache if it persists for a longer duration. I will recommend you the below items to help you while you are struggling to get over a stress headache. Neck and Back Massager: I have personally used this product and it has been a great help to me during severe back pain. Wearable Acupressure For Quick Relief: The concept used by these kinds of the product is to acupressure provide pressure to L14 points. The L14 points are among the most important points on your body and have been used for thousands of years to get relief in a natural way. By applying acupressure to this point you get instant relief to your headache. Therapy Gel: This gel packs will definitely be a good addition to your stress toolkit. Acupressure Massage Mat: This acupressure mat utilizes your own body weight against the acupressure spikes present on the mat. These spikes give you a feel for therapeutic massage. You can get the best results when you perform yoga poses on this mat. Massage Oil: The massage from this oil is very helpful for an individual suffering from a migraine. It consists of seven kind of ingredients that makes it very unique and powerful. You can check the reviews of these products on Amazon before taking a final call of buying it. Let's NOT forget to talk about some home remedies that will definitely help you when you are suffering from mild or moderate stress headache. Apply a heating pad or an ice pack to the affected areas for 10 minutes twice a day. If you are a software engineer or you want on a laptop or computer for long hours then please don't forget to take breaks. Taking frequent breaks can help you eyes muscles to get relax. To relax the muscles of other parts of your body, take a hot shower. At times improving your body postures can also ease out the tension. 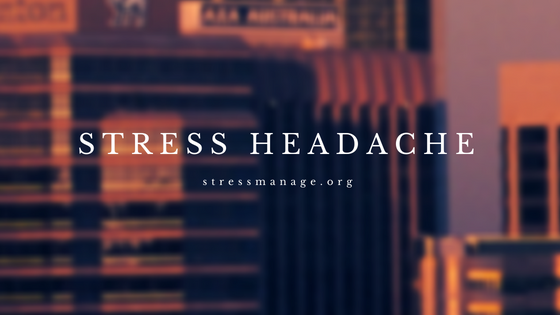 Remember stress headaches are often caused by specific triggers so the best way to prevent its re-occurrence is to find the trigger responsible for a headache and then try to find best possible option to avoid its future occurrence. I am sharing the link of some stress relief product that I recommend. Conclusion: Never ignore a stress headache. In most of the cases these headaches are not recurring and are short-lived but you are having intense short of a headache then please consult the psychiatrist at the earliest. Please give your honest feedback about this post.